Can 'The Post' or 'Paddington 2' Beat 'Jumanji' at MLK Holiday Box Office? Can ‘The Post’ or ‘Paddington 2’ Knock off ‘Jumanji’ at MLK Weekend Box Office? Four films will try to knock “Jumanji: Welcome To The Jungle” off the No. 1 spot at the box office on Martin Luther King weekend, as 20th Century Fox’s “The Post” expands nationwide after posting strong numbers in limited release, while “Paddington 2,” which is being released by Warner Bros. after the studio purchased it from The Weinstein Company, leads this weekend’s new releases. “The Post,” which started on nine screens last month before expanding to 36 in major cities this past weekend, has grossed $3.8 million so far in limited release. That includes per screen averages of over $80,000 on the four-day Christmas and New Year’s weekends, which is a strong start for an awards contending film. Though the film came up empty handed at the Golden Globes on Sunday (despite Seth Meyers’ joke predicting the contrary), the film’s timely story of journalists holding government accountable should give it a strong launch in wide release, with trackers projecting a $20 million four-day haul, with Fox projecting a high teens start from 2,820 screens. 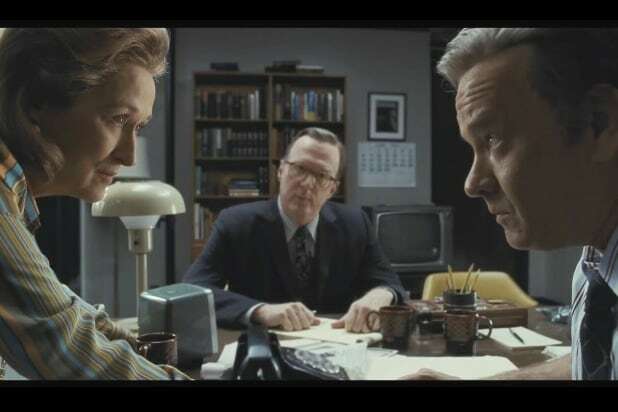 Directed by Steven Spielberg, “The Post” tells the story of how The Washington Post transformed from a local paper for the nation’s capital into a leading national outlet as it fought the Nixon Administration to publish the Pentagon Papers that exposed the lies surrounding the Vietnam War. Tom Hanks and Meryl Streep star as WaPo’s Editor-in-Chief Ben Bradlee and majority owner Kay Graham. Bob Odenkirk, Sarah Paulson, Tracy Letts, and Bradley Whitford also star. Josh Singer, who won an Oscar for his work on “Spotlight,” penned the script with Liz Hannah. Also projected by trackers for $20 million openings are two very different new releases, “Paddington 2” and “Proud Mary.” “Paddington 2” will be the first release for Warner Bros. this year after a strong 2017 that saw its domestic box office returns rise above $2 billion for only the second time in studio history — though that didn’t stop the studio from announcing big changes in their top leadership on Tuesday. While “Jumanji: Welcome To The Jungle” has been a major family audience draw over the holiday season, there hasn’t been a film aimed towards younger kids since “Ferdinand” came out last month. “Paddington 2” will try to fill that niche this weekend, as its predecessor did two years ago with a higher-than-expected $25 million start on MLK weekend. WB’s more conservative projection estimates a start of $15-17 million from 3,700 screens. “Paddington 2” sees Ben Whishaw return as the voice of the famed titular bear, as Paddington is wrongfully sent to prison for stealing money after he tries to earn some cash to buy his Aunt Lucy a birthday present. Paul King returns to direct the film, as do cast members Hugh Bonneville, Sally Hawkins, Julie Walters, Jim Broadbent, Peter Capaldi, Imelda Staunton, and Michael Gambon. The film has already made $125 million overseas, including $55 million in Paddington’s country of origin, the U.K.
“Proud Mary” is looking for a $20 million opening this weekend, with Sony looking at a start in the high teens. Danny Glover and Neal McDonough also star, with Babak Najafi directing (“London Has Fallen”). Finally, there’s Lionsgate’s “The Commuter,” Liam Neeson’s latest action film. The film sees Neeson reunite with “Non-Stop” director Jaume Collet-Serra as he plays an insurance agent who gets caught in a deadly conspiracy during a train ride when he is challenged by a stranger to identify a hidden passenger before the train reaches its last stop. The film is projected to make $12-14 million from 2,800 locations this weekend. This year's box office had some obvious big hits -- Marvel, "Star Wars," "Beauty and the Beast" -- but the numbers also revealed some interesting trends when it comes to what was a hit and a miss financially. Here are just a few of them. The demand for more women and people of color in media wasn’t just a Twitter trend, it was backed up by wallets. Patty Jenkins and Gal Gadot were the queens of the summer as “Wonder Woman” grossed $412.5 million domestic, while Jordan Peele’s “Get Out” was Hollywood’s biggest bang for its buck with $254 million grossed against a $4.5 million budget. Even indie films reflected this trend, as Best Picture winner “Moonlight” set a studio box office record for A24 … until it was broken by “Lady Bird,” the directorial debut of Greta Gerwig. Audiences were very clearly not interested in a fifth “Pirates of the Caribbean” or “Transformers” movie, as 2017 installments for both franchises proved to be by far the lowest grossing films in their respective series. Disney can absorb the loss on “Pirates” failing to launch, but for Paramount, which looked to “Transformers” as its major tentpole and has another sequel and a “Bumblebee” spinoff on the slate, this was very bad news. By far, 2017 has been a huge year for horror at the box office. Blumhouse’s low budget formula for horror continues to pay dividends for Universal, while WB/New Line’s “Conjuring” series topped $1 billion after the release of “Annabelle: Creation.” And of course, there’s “It,” the biggest horror hit of all time with nearly $700 million worldwide gross. Well, duh, Marvel Studios has been the one constant at the box office for the past decade. But why was it especially a hit? Because this year Marvel Studios became the first production studio to release three films to $100 million-plus openings. With “Black Panther” and “Avengers: Infinity War” coming up, that streak could increase to five. Universal had a strong year with over $5 billion grossed worldwide, but the Dark Universe’s failure to launch with “The Mummy” was a big blemish. Despite launching with much fanfare, “The Mummy” needed overseas help to stay out of the red as it only grossed $80 million domestically. Five months later, Alex Kurtzman and Chris Morgan, who were selected to oversee the project, stepped down. Even though Disney remained on top with their stable of franchises, Warner Bros. and Universal were able to keep up with a diverse set of films. In addition to "Wonder Woman," WB also released hit horror films like "It" and "Annabelle: Creation" and a blockbuster Oscar contender in "Dunkirk," while Universal's Blumhouse horror films and franchises installments like "Fate of the Furious" performed well alongside films aimed for female audiences like "Fifty Shades Darker" and "Girls Trip." Two years after the success of "The Martian," Damon has fallen on hard times. His two awards season hopefuls, "Suburbicon" and "Downsizing," have both tanked at the box office, while his 2017 blockbuster, "The Great Wall," did decently in China but fell flat in America with just $45 million domestic. This year's box office total won't beat the $11.3 billion made last year, and a weak summer is to blame. The May-August box office total was the lowest since 2006, ending with an August that had two weekends without a wide release and the lowest total for the month in two decades. But while the summer was bad, domestic totals could have been worse had it not been for strong performances in the spring and fall. 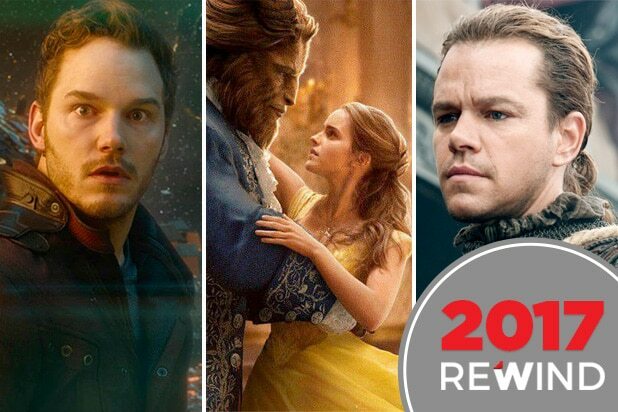 March and September 2017 set new records for their respective months off of films like "Beauty and the Beast" and "It," while "Star Wars" and "Jumanji" have given theaters a strong holiday finish. The traditional slate schedule is being broken, and hit films can now come at any time of the year.